English in the Community courses help you to learn more English, get to know your community and meet new people. The groups are aimed at helping you use what you already know, learn more from your tutor and the other students and feel more at home in your local community. To enrol in these courses, please contact the CEC office on 04 385 8919 or cec@whs.school.nz. We give priority to NZ citizens and residents - if you're not a resident/citizen but would like to join, please contact the CEC office and we can add your name to the waiting list and will get back to you if a place becomes available. 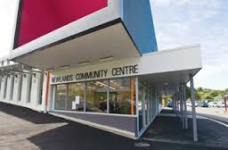 The courses are held at the Newlands Community Centre, 8 Batchelor Street, Newlands and are free for NZ residents and citizens but you must provide proof of your residency when you enrol. NOTE: This course is subsidised with funding from the Tertiary Education Commission (TEC) and for statistical purposes, some additional information is required as part of the enrolment process. A condition of enrolment on this course is that you will attend at least 80% of the sessions.